>>/ot/19851: >>19890 Good job finding the thread, but the file OP's talking about wasn't archived. >>/ot/18474: >>19885 Do you think you're a saint, anon? >>/x/1608: >>1611 Yes son, I give you my permission. And just like that, it's been a decade. Somehow I'm not surprised that we're still around, I guess because keeping this place running for as long as possible has always been my intention. 10 years is a nice milestone though, so maybe I'll think of something fun to do with the site. Late last year, I moved Uboachan to a new server after another website hosted on the same server became infected with viruses. Scans and investigation showed that the infection didn't spread to any other sites, but I set up a new server to be safe. It's needed to happen for a while now anyway; there were software upgrades that couldn't be done in-place on the old OS. We are now running the latest version of Debian, and we've switched HTTP services from Lighttpd to Nginx. Unfortunately, I haven't gotten the Uboachan Archive running with Nginx yet, so that's still broken, but I'll get around to fixing it. Did you think our co-op scanlation project with Patchy Illusion Team was dead? Think again! 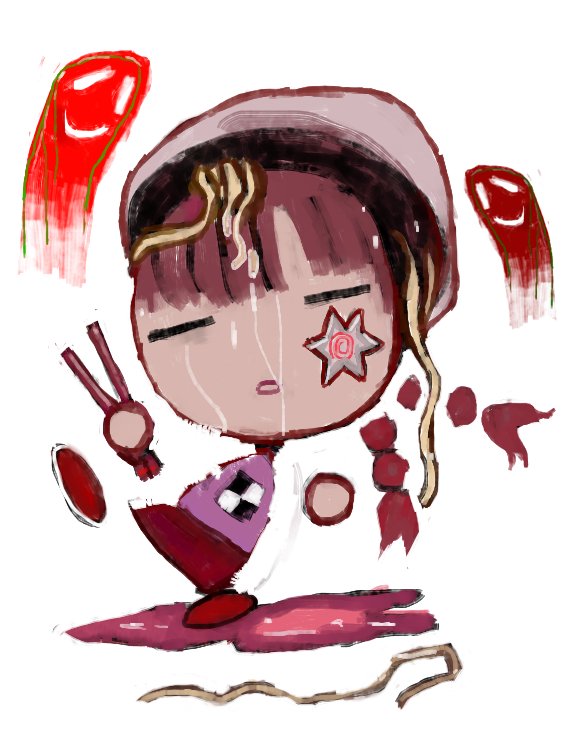 About a week ago I bought 10 raw Yume Nikki fan doujins straight from Japan with the help of a generous donor, and shipped them to Patchy Illusion Team's lead scanlator Chesir, who should be receiving them some time in the next few weeks. After that he should have enough material to keep the team busy for a while, while all of the doujins are translated and released. Chesir may need some additional help with this batch, and if so he'll post in the Scanlations Project sticky on /yn/. Expect some teaser photos as well once the doujins arrive from overseas. The Lost Cities Minecraft Server is also back from the dead, sort of. The map became corrupted, and when recent backups were restored those eventually became corrupted too, leading to the server staying offline for a few months. Eventually we decided to reset the map completely, and hope that the same issue doesn't happen again. However, we're still running the same old plugins, so it should be a similar experience. If anyone's interested, I may be able to package up a working backup of the old map for download, but it's a bit out of date. Development for the Dream World MUD is on hiatus, but hopefully only for a few months. The server is still up and running, and more features are planned for the future. Writer continues to be in charge of the moderation staff, while I keep the server and website up and running. A toast to ten more years! I never wanted the boards to turn out this way. I just didn't know what to do. After the moderation team dissolved, I thought that if I just let discussion continue on its own, and let things operate mostly unfettered, and only stepped in to act on the most egregious situations, the site would stay mostly as it was. I never thought that the atmosphere would degrade to this extent. It's happened so slowly over the past two years, that I guess it was easy for me to rationalize that nothing had changed all that much. But stepping back and looking at things now, I can't really say that Uboachan is still the dark-but-chill hangout that I had idealized. Threads about topics as innocuous as the weather are derailed into flame wars in short order, and attempts at moderation are met with harsh criticism, suggesting that in the absence of consistent vigilance, this sort of perpetually destructive atmosphere has become the expected norm. Conversation has turned sour. This is not an isolated incident, but something that is happening to threads all over the site. The low-key rage that rests in the background of most imageboards has risen to a fever-pitch, making calm and enjoyable discussion all but impossible. I don't think it's something I can fix just by banning a few users, and I don't think that the current rules would clearly justify doing so anyway. I didn't want Uboachan to become a place where people actually enjoy being hateful. The hate and anger were supposed to be all tongue-in-cheek, just part of the joke, the colors of Uboachan's unique, dark sense of humor. I feel like a lot of our users don't get the joke anymore. We ended up attracting actual racists, evil wizards, inquisitors, the criminally insane, elder gods, and other unsavory characters, exactly the kinds of people I wanted us to avoid. This isn't just another imageboard, above all else it's a Yume Nikki fansite. At least, it was supposed to be. Honestly, I haven't had the time and energy to put into this place lately. I'm not a NEET anymore. I've been going to college full-time, looking for a job, and trying to build my own future, all while dealing with an all-encompasing social depression that has made me more introverted than ever. I don't talk to people as much anymore, and often when I try to browse Uboachan, my eyes gloss over the posts and I don't really absorb what I'm reading. I really feel like I haven't been paying attention. As sad as it makes me to say this, I'm not the guy for this job anymore. So, effective very soon, I will be stepping down. Our long-time staff member Writer, who has been here on and off practically since the beginning, will take up the title of "Owner", and all of the responsibilities and decision making powers that come with it. After a period of transition in which Writer will choose new staff members, revise the rules for the site, and create clear and public rules for the moderators to follow, I will become a regular Admin working under his guidance. I will, of course, continue being the System Administrator, and continue hosting the site. Thanks for all the good times, folks. It's probably going to be a bumpy transition, but I really think that this is for the best. I hope that most of you can forgive me. Here we are, on a rock, screaming. Happy Birthday! Wow. Eight years since this place opened up shop and six since I've been the owner. Can you believe that? And we've been so active recently! We must be doing something right. Things have been mostly uneventful regarding the site since my last post. You'll see though that I recently dropped a couple dead boards and improved the recent posts box. As for the scanlations project, it's not dead, we just haven't had the money to import any of the doujins we wanted to translate. However, I expect to be ordering one or more next week. When they arrive I'll send the scans off to Chesir for translating. A big thanks to our donors from Uboachan and Sushigirl who covered expenses for the past two months. Hosting is $43 per month and can be a bit heavy for me, so donations are always greatly appreciated. I've left a link at the bottom of this post. We're staying around and going strong. I hope you're all having fun or getting something useful out of the site, and I'm going to keep the doors open for as long as I can.